August has been a whirlwind month for me. Between BlogHer ’12, getting ready for back to school, and enjoying the last days of summer, I’ve managed to find so many new favorite products! At the top of my list is the hottest toy at my house right now- the Perpluxus Epic 3D Puzzle! I can honestly attest to the fact that this game, despite being marketed to kids 8+, thoroughly appeals to puzzle-lovers of all ages. Picked up at the BlogHer ’12 swag echange at the Hilton, everybody in my house has had a go at solving it (although not everybody has actually solved it, including *cough,cough* yours truly). We love it, so if you’re looking for a game for a birthday, or if you’re already making a gameplan for Christmas – definitely look into getting your hands on one of these. Although, you should be careful, because if you drop it (or if it rolls off your bed, like ours did) – then a little piece could pop off the puzzle and render it semi-broken (like ours is). The next item on my list is another product that I’ve absolutely fallen in love with, and that’s Kiss’ Impress Nails. This has already received a lot of hype all over the internet, in magazines, everywhere- but this is really one of those rare products that actually is deserving of all the hype surrounding it. So get your talons on a set of these, they’re perfect for when you’re on the go and want chip-proof, professional looking nails. Check out their designs, and get a $1 coupon here! Have you ever purchased one really good-for-you sounding snack bar only to find that it’s chock full of sugar and carbs? Yeah, been there, done that. Rickland Orchards new Greek Yogurt Bar’s are the solution to your snacking woe’s (because there’s nothing worse than a snacking woe). Not only do they taste really really good (my favorite is the Cherry Almond one’s), but they only have 22 carbs, and boast 5 g’s of fiber (leaving your net carb at 17), and 7g’s of protein – which is pretty good as far as snack bars go. 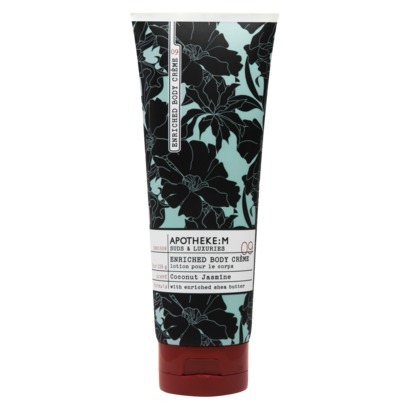 I cannot get enough of the smell of the Apotheke:M Coconut Jasmine Enriched Body Creme– it’s definitely my favorite body creme right now. It has a nice coconut scent, without being heavy like most products with shea butter usually are. The jasmine acts as a toner, chamomile as a soother, argan oil as a emollient, and avocado and shea butter acts as moisturizers. I haven’t had a chance to try the whole line (which is priced at $8.99 a piece at Target), but if they’re as good as the creme then I’ll definitely purchase the whole set! So that’s it for my August monthly favorites! Have you discovered any new products you love??? Let me know in the comments section below! Next Post BlogHer ’12, Part 3! Love this post! 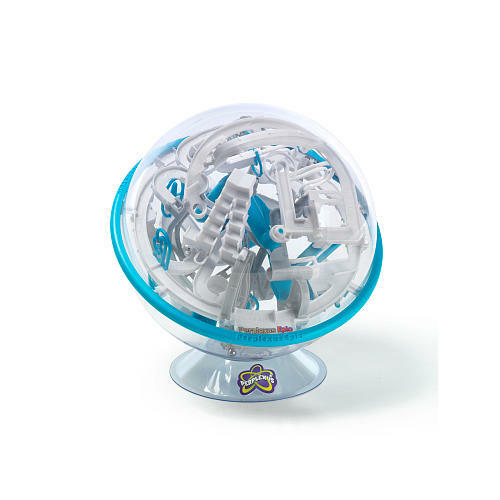 I’ve been considering a Perplexus game for my nephew for Christmas and love that it’s so popular right now. And Kiss Impress Nails sounds like a great gift for my nieces. Thanks for your top faves! Oh my goodness, I need to find those Greek yogurt bars asap! They look amazing!